Featuring a bright green LED at the Top. Press button switch to activate..
Unlock doors & secret passageways.. He's over 900 years old, travels through time and space and frequently stops armies of aliens with little more than a sonic screwdriver! 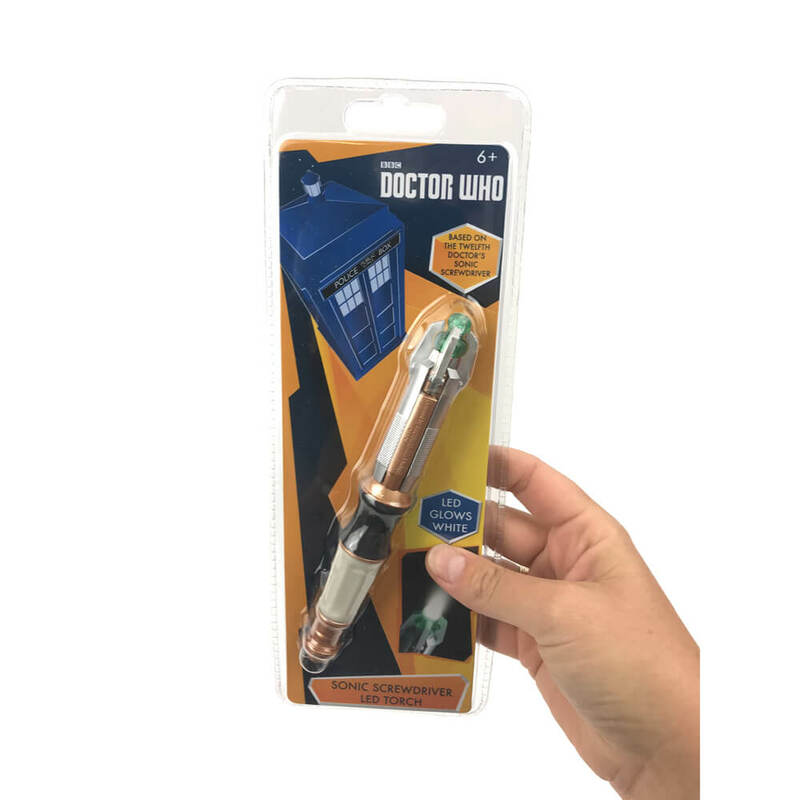 We all know someone who loves Doctor Who, and now you can have your very own version of the Doctor's most trusted tool for opening locks, repairing equipment and fighting foes. 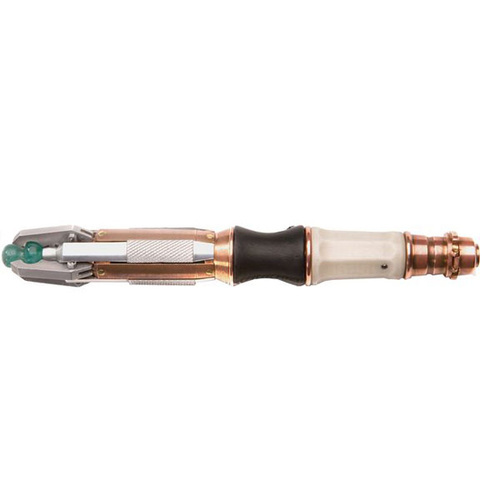 This version of the Sonic Screwdriver is the one that Matt Smith's Doctor used. 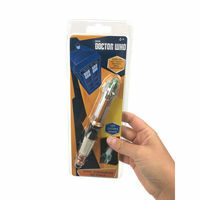 Based on the original BBC Doctor Who design and featuring a bright green LED at the tip, this Sonic Screwdriver LED Torch is the ideal gift for Doctor Who fans of any age! Requiring 3 LR41 button cell batteries (included) and measuring 16cm long, this terrific torch turns off and on with a press of the tip just like the real one. So whether you're looking to defeat Daleks, scupper Sontarans or simply stay out of the shadows this is the torch for you! Note: Buzzing sound not included, be creative and make the buzzing sound using your mouth. Easy to shop, arrived quickly and in perfect condition, exactly as described.